A shoe designed for classic mountaineering on glaciers and icefalls. It is ideal for working in cold environments, thanks to the waterproof and insulating Gore-Tex (R) Duraterm membrane. The IMS3 sole made of PU in diverse densities, distributes an ideal cushioning effect on all types of terrain, while the Exoskeleton construction provides stability and protection. The TPU heel cap and the rubber cap define the crampon-compatible equipment of the MONTAGNARD GTX, a precise shoe, which is durable and reliable for mountaineering and work use in the mountains. The Internal Midsole System is coupled with an Exoskeleton construction of medium density polyurethane for stability and protection, and a lightweight polyurethane inner part, which provides cushioning, shock absorption and high compressive strength. 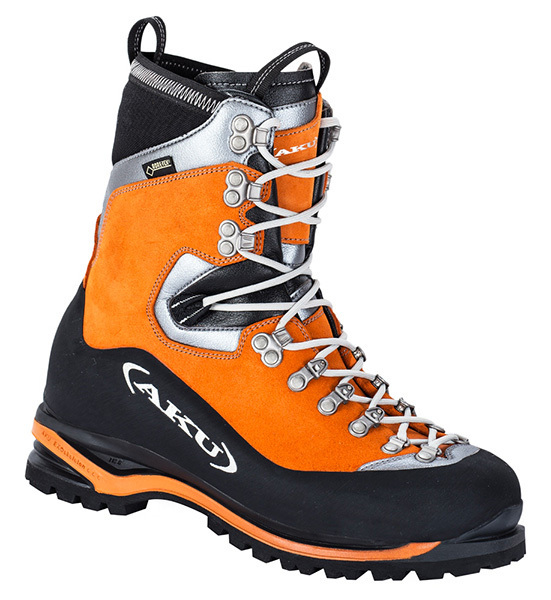 In addition it features a lightweight and durable TPU heel cap and a rubber toe cap for a perfect fit of the crampon.